DRDO is working on a Chinese DF-21D missile analog. 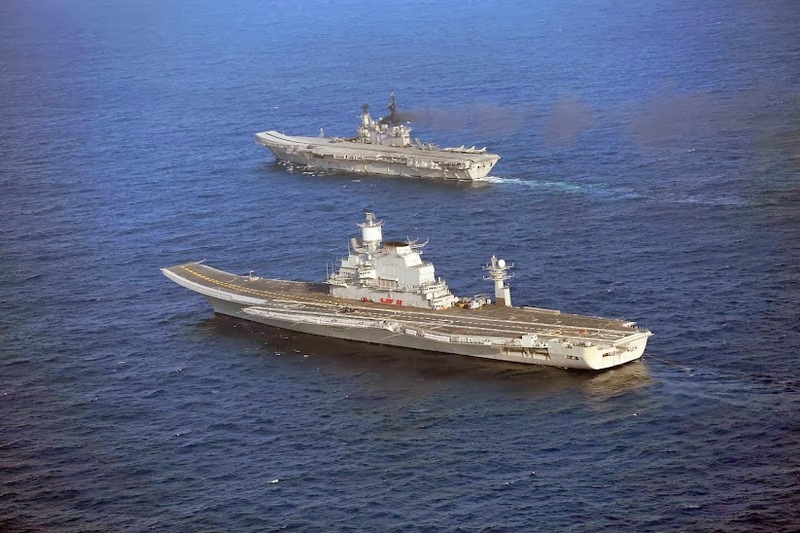 August 24, 2014 - DRDO Chief Avinash Chander told the press recently that the DRDO is developing a long range anti-shipping ballistic missile capable of striking enemy aircraft carriers 1500-2000 km from our shores. "The long range anti-ship missile is on the drawing board, and we are confident that in about six years we would be able to get it ready," Chander said. Somewhat similar to the Chinese DF-21D, the missile would follow a ballistic trajectory to evade ship based radars and use its seeker to locate and strike an aircraft carrier. Chander didn't say how the initial targeting information would be obtained. Warships comprising a carrier group are honed to detect and engage low to medium level threats, such as fighter aircraft and anti-shipping missiles launched from stand-off ranges. Their radar beams don't look up beyond around 60-deg exposing the carrier to ballistic missiles attack. The challenge in developing an anti-shipping ballistic missile lies in obtaining initial targeting information and end-game tracking of a carrier moving at around 30-kts (60 kph). Airborne ISR assets employed to obtain targeting information can be easily engaged and neutralized by carrier group warships in a protective cordon around the aircraft carrier. Low level satellite coverage can do the job if it's persistent, which requires a a large satellite constellation of low orbit satellites to be deployed, a very expensive proposition.